Sto products and wall systems will be featured at the CONSTRUCT conference in Long Beach, California this week. As the three-day CONSTRUCT Conference & Expo gets underway this week in Long Beach, California, Sto will be in the thick of it all at the convention center there, showcasing the company’s state-of-the-art building materials and systems to professionals from the architecture, engineering and construction (AEC) industries. 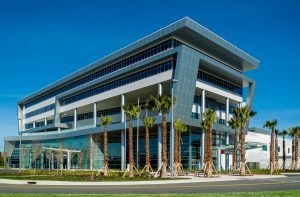 The University of Florida Health Facility is one of Sto’s many projects where exterior insulation and finish systems were put to good use. 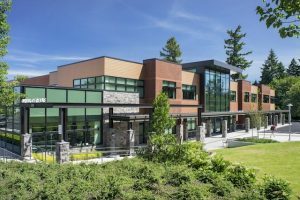 Sto’s new generation of Exterior Insulation Finish Systems (EIFS) will be featured, including wall systems with StoGuard air and moisture barriers, and StoTherm ci continuous insulation options. You can also experience Sto’s wide range of exterior finishes that can ensure a project looks as good as it performs. The CONSTRUCT expo is a national show bringing professionals in the AEC industry together to gain real-world, practical knowledge for improved building success. It’s a great venue for staying up-to-date on the latest trends, for continuing education and for experiencing first- hand a wide range of building solutions and systems. 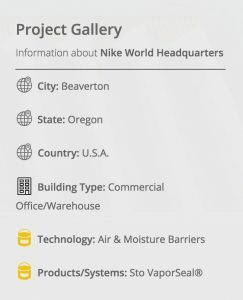 Our Lady of the Lake Catholic School in Oswego, Oregon is a study in Sto air and moisture barrier technology. Come by and visit the Sto technical experts at CONSTRUCT this week – Booth #850 — at the Long Beach Convention Center. Learn how smarter building envelopes can boost a building’s performance or learn all about Sto’s robust Hurricane Impact Systems. Constructing a tighter, better building envelope can make a big difference. After more than 100 years of doing business worldwide, Sto knows. 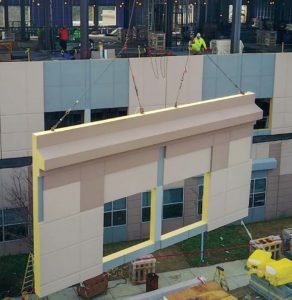 Inspira Medical Center in Vineland, New Jersey, added two-floors to their acute care facility in “record” time thanks to Sto panel technology. 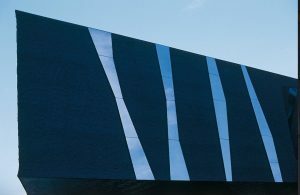 A global leader in integrated exterior wall systems, Sto offers a broad range of next-generation building envelope solutions and coating systems for building construction, maintenance and restoration. You can get to know them better at CONSTRUCT. 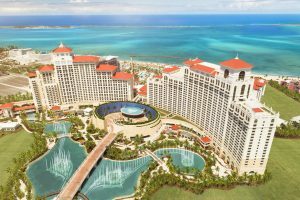 The Baha Mar Resort & Casino in the Bahamas is a signature Sto project showcasing the versatility and resiliency of the company's exterior insulation systems and finishes -- products that which were used extensively and exclusively throughout the 1,000 acre mega-project. 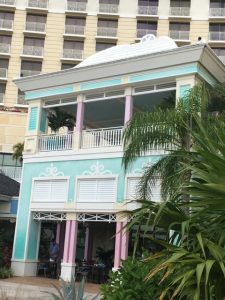 The Baha Mar Resort & Casino on the island of New Providence in the Bahamas opened last year with great fanfare and has been a showcase for Sto products used in its construction. Located on Cable Beach, outside the city of Nassau, the new resort was heralded as the largest hospitality project ever built in the Caribbean. The property covers over 1,000 acres including half a mile of prime beach frontage. The sprawling tropical megacomplex which cost a reported $3.4 billion to build, includes three world-renowned luxury hotel brands: Grand Hyatt, SLS and Rosewood (2,300 rooms in all). It also boasts a conference center and casino (150 tables and 1,500 machines), a spa, racquet club and 18-hole signature golf course designed by Jack Nicklaus. 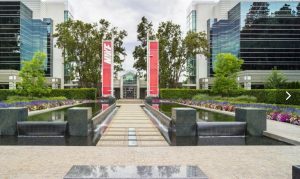 There will ultimately be a total of 11 pools, 42 restaurants and bars, and 60,000 square feet of retail with luxury purveyors such as Tiffany’s, Bulgari and Rolex. Oh, and let us not forget the 250 palm trees. The world-class destination resort is an imposing and impressive landmark on this small Caribbean island. 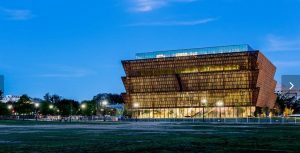 It encompasses three million square feet of construction, 6,000 tons of structural steel, 500,000 sq. ft. of glass, and an abundance of StoTherm exterior insulation (more than 16,000 bags of basecoat alone) and Sto finish products including Stolit® Milano. 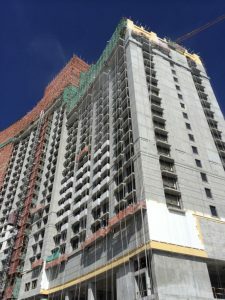 The project initially called for stucco exteriors, but when Baha Mar consultants visited the nearby Atlantis resort on Paradise Island and saw the aesthetic caliber and versatility of the exterior insulation finish system (EIFS) used there, as well as the weather- and moisture-resistant properties of EIFS, the specs for Baha Mar were recalibrated. The competition between building material suppliers vying for the job was fierce, but in the end Sto prevailed. “Having Sto as our allies on this project was the key to our success. They were a tremendous resource” said Angel. His company, KHS&S-iLand (a joint venture between KHS&S contractors in Tampa, Florida and iLand Applicators in the Bahamas), had a huge challenge taking on such a large project on a small Caribbean island. They were working with Chinese, Colombian and American management crews talking in three different languages and all working for the largest construction company in the world (the Beijing-based CSCEC). “Choosing Sto was the best decision we made,” recalls Angel; “the company’s experience and large presence in the Caribbean and Latin American markets was the right combination we needed. Every time we had an issue, the Sto team proved quick to adjust, responding at the highest level from beginning to end.” Angel also noted that in addition to the exemplary Sto service provided, the Sto exterior continuous insulation system and finishes have withstood the test of time and adverse weather including the harsh tropical heat and two horrific hurricanes (Matthew and Irma). The StoTherm® ci and StoGuard® waterproof air barrier system have done what they were designed to do — provide protection against moisture intrusion and promote improved energy efficiency. 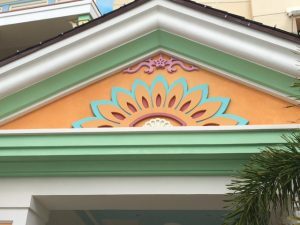 Baha Mar has withstood 100 mph winds; its cladding, decorative architectural features, and multi-colored finishes have fared well in the tropical climes. 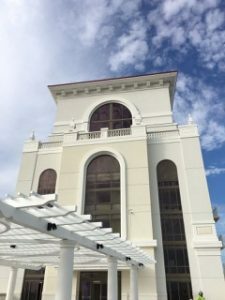 The StoTherm systems and finishes have proven to offer so many advantages and benefits – resiliency, efficiency and beauty –that they will be used again in the restoration of the adjacent 700-room Melia hotel – a companion property to the Baha Mar that will tower above a tourist-pleasing eco-water park. The Harrah's Convention Center in Atlantic City, New Jersey, where modular Sto Panel technology and off-site construction played a role. According to a recent white paper written by FMI’s* Sabine Hoover and Jay Snyder, today’s modular design and construction trends are poised to pull the engineering and construction (E&C) sector out of its 50-year lethargy and launch a new era for the industry. Capital projects today are getting more complex and many of these projects face chronic cost overruns and schedule delays. In fact, according to The Economist, over 90% of all global infrastructure projects are either over budget or late. The authors maintain that modular design and construction can alleviate these costly issues. While offsite construction has been around for decades – including prefabrication, modularization, preassembly or offsite multi-trade fabrication — according to these industry pundits, it has only recently emerged as a critical method for delivering projects faster, safer and cheaper in today’s labor-constrained environment. That being said, according to the FMI researchers, only 37% of owner organizations in the E&C sector are embracing offsite construction; nearly 50% still opt for traditional design-build approaches, which do not allow for optimal project planning and execution of offsite construction. Despite advanced technologies and digital tools that now allow firms to leverage data to address these issues, and despite the fact that there is a $1.6 trillion productivity gap in the construction industry (that much additional value could be added to the sector’s revenues via higher productivity), the U.S. is experiencing declining productivity in this sector, with China and South Africa making dramatic leaps and taking the overall lead in this category. The authors point out that the E&C industry’s resistance to change could “cost it dearly”. It is not an industry that has traditionally embraced disruptive innovation. Most firms have lacked the vision, strategic initiative, will, expertise – and most importantly, the financial capital to innovate. There simply hasn’t been a significant return on investment or incentive to innovate. Even so, if firms don’t learn the art of managing change and take advantage of new business models and new technologies such as modular design and construction, they will be eclipsed by those that do. FMI sees a tremendous amount of venture capital directed into innovative sectors of the E&C industry. “Private equity firms are ramping up investments and seeking new niches that are helping firms to change corporate direction,” says Alex Miller of FMI Capital Advisors. With companies like Google, Marriott, Starbucks and Autodesk embracing offsite construction, investment money is looking to revolutionize the industry. While FMI claims that over half of all E&C firms expect more change in the next 5 years than in the last 50 years combined, the question remains: will they change? Will they adopt a new framework for success? Will they collaborate on a more streamlined approach to the design-manufacture-construct process? Can construction manufacturers leverage technology to reinvent the entire construction value equation and drive innovation? There is plenty of evidence that leveraging off-site construction and modular design can mitigate the impact of weather delays and create safer on-site construction environments, as well as improve productivity, increase project efficiency, and enhance collaboration between offsite fabricators and general contractors. It remains to be seen however, if E&C firms can reinvent themselves, not only to keep up with the competition, but to stay relevant in the future. The authors offer the analogy that disruption is more like a hurricane than a tornado – destructive but offering sufficient time to respond if industry participants are willing to do so. They believe it is in fact possible to respond and survive. Ironically, disruption is rarely led by current industry experts or insiders, but rather it is generated by innovators from outside the industries they disrupt. *FMI is a management consulting and investment banking firm focused in the E&C, infrastructure and built environment sectors. AWCI has published a history of the wall & ceiling industry in a new book celebrating the organization's Centennial anniversary. In March, the AWCI (Association of the Wall & Ceiling Industry) celebrated its 100th Anniversary in at its annual convention and INTEX Construction Expo in Orlando, Florida. Part of the celebration was to mark the publication of a new book to commemorate the organization’s birth in 1918; the special edition Centennial Book provides an historical overview of the wall and ceiling industry during the past 100 years. The handsome, large-format book documents a century of industry growth with a decade-by-decade synopsis of the wall and ceiling industry, with many vintage and contemporary photographs that also tell the story. As illustrated in the new book, wall and ceiling construction has always been a basic service; it survived the ravages of a turbulent century, continues to innovate and remains a robust industry today. Sto Corp. was the proud sponsor of the 1920’s section of the Centennial Book; a memorable decade that started with the introduction of Prohibition and ended with the stock market crash in 1929, with flappers, Lindbergh’s pioneering trans-Atlantic flight, and the migration of Americans from farms to cities providing memorable milestones. On the wall and ceiling front, Gold Bond gypsum wallboard was introduced, and the labor movement grew in strength. The American Federation of Labor (AFL) had 5 million union members in 1920; higher pay and shorter workdays were contested issues, and skilled tradesmen were in short supply. (Sound familiar?) In 1926, 2,500 Chicago journeymen plasterers went on strike demanding a $2/day wage increase. Overall, each decade in the book provides many insights in the development of the wall and ceiling design and construction business. As told in this industry memoir, the AWCI has taken a leading role in setting standards since its inception, facilitating union agreements, protecting and promoting the trade. As a forum for unity and direction, the AWCI has helped transform the industry into what it is today and should be applauded for its industry leadership and support for superior building standards over the past 100 years.